What seemingly looks like a build of a loving elderly couple is more than meets the eye. 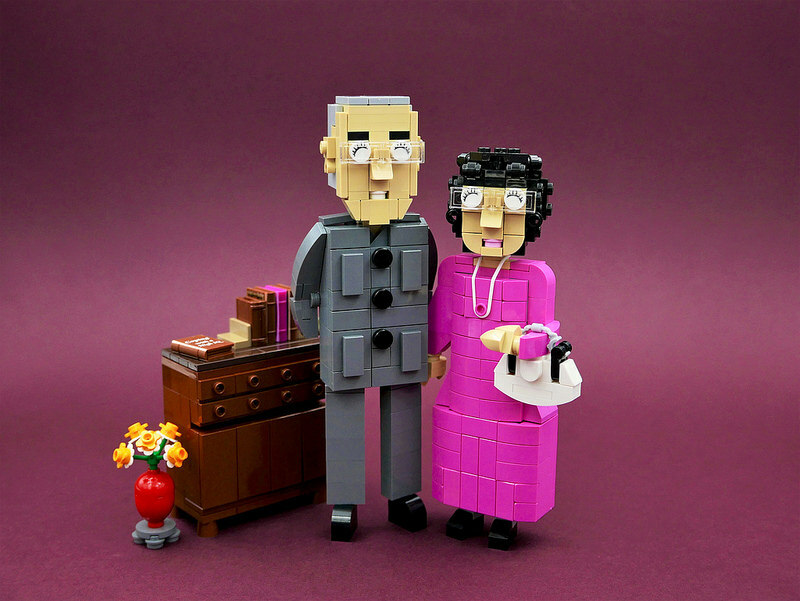 This LEGO creation by Vincent Kiew is a living legend with his supportive wife. Tun Dr. Mahathir refused to let his country of Malaysia down and came out of retirement at a ripe old age with his supporting wife Tun Dr. Siti Hasmah by his side. So here’s the story that’s fit for a movie script just waiting to be made. After holding office for 22 years from 1981 to 2003 as the Prime Minister of Malaysia and many more years serving the country in various portfolios before that, Tun Dr. Mahathir went into retirement at the age of 78. For the next 15 years, he saw his successors ruin and blemish the country in a state much worse than he left behind. Then, at the age of 92 in 2018, he contested and won the right to take back the seat he previously left behind in an attempt to undo the damage done by his two successors. Almost any man at that age (close to being a centenarian) would have just sat back and said, “My time is done”, but not Tun Dr. Mahathir. Citizens like builder Vincent Kiew show their respect and love for Tun Dr. Mahathir in whatever little way they can, bringing their patriotism closer to home. 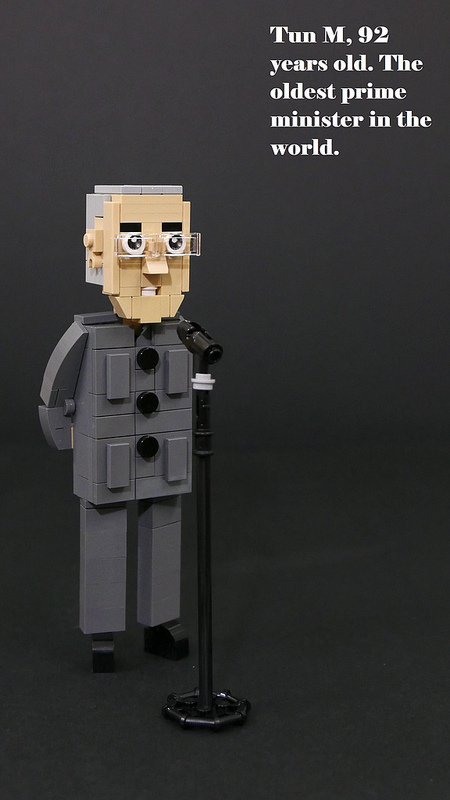 Kiew’s representation of the oldest Prime Minister in the world, with his suit of grey and cute 2×1 Transparent Tile as spectacles, is perfectly executed. Patriotism and the awe for the achievements are one side of the coin. But on the other hand he uttered more than once antisemitic cliches. On top of that under his reign the film “Schindler’s List” was banned in Malaysia for being too pro-jewish. Sorry, but that’s not something that makes a person a great politician. Er…I don’t exactly see Mahatir as a model to be emulated, whether in plastic bricks or otherwise. Er… and who are you again? Very immature comment Anon and Torben. As someone who is adamantly against the Universal Declaration of Human Rights, Mahatir really shouldn’t be celebrated as a Hero. Calling out an antisemitic person as antisemitic has no influence on my matureness, but it speaks for itself seeing your offense. And I don’t see any constructive dialogue coming from your side regarding this debate. So if you have some facts we might have overlooked, feel free to write them down here. But racism and intolerance in any form doesn’t make this world a better place, so I share my concerns for all to see.